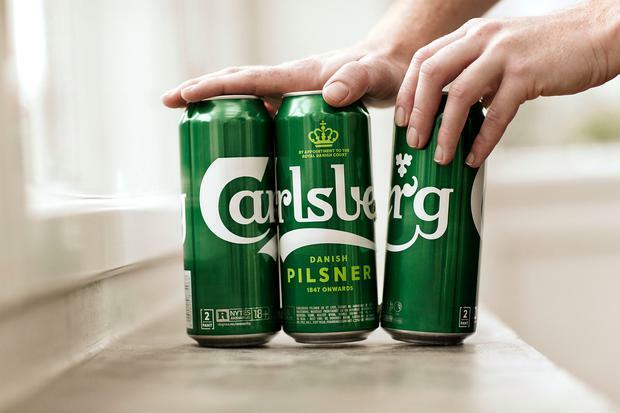 In what it is heralding as a world-first, Carlsberg’s new multi-pack beer cans are held together solely by glue – a move that is set to reduce the Danish brewer’s use of plastic to package the product by more than 75%. To mark the launch, the brewery unveiled a replica of Copenhagen’s famous Little Mermaid statue – an artwork originally donated by Carlsberg’s founders, the Jacobsen family – made from the new Snap Packs. Head of sustainability at Carlsberg, Simon Boas Hoffmeyer, said once the Snap Packs are rolled out worldwide the company will reduce its plastic use by 1,200 tonnes a year – the equivalent of 60 million plastic bags. “Our wildlife is drowning in plastic – and the problem is unfortunately growing considerably,” he said.